Combining art, science, and digital media to examine our universe. The remote broadcast of specimens in Dr. Natalie Kuldell’s Synthetic Biology laboratory at MIT is navigable alongside the stellar universe. For this collaboration, LOIS developed a method for observing specimens in Dr. Natalie Kuldell’s laboratory remotely. 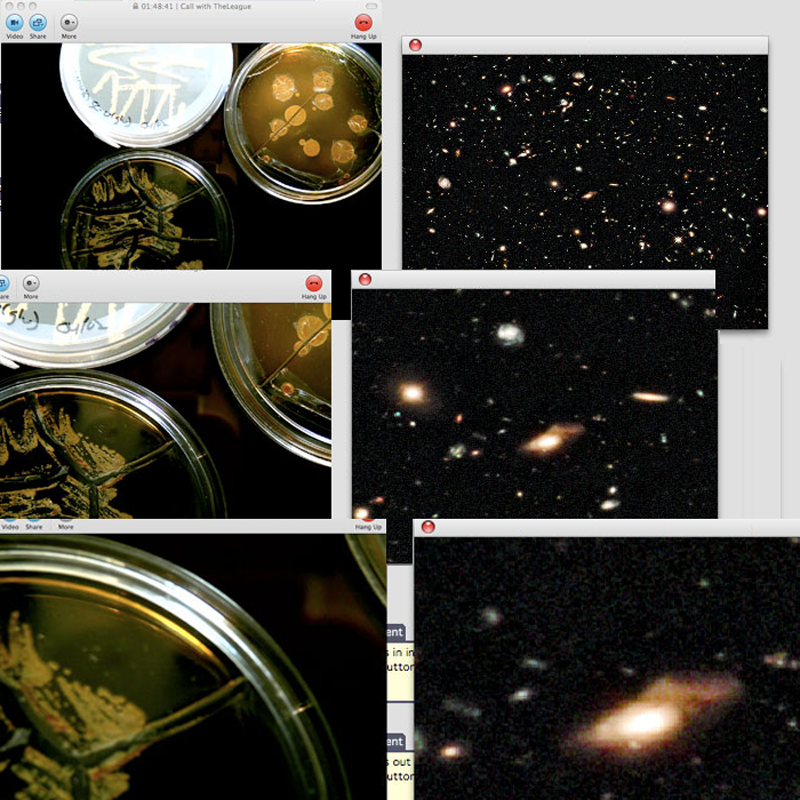 Peering in at Petri dishes in the lab from California, we were struck by watching the evolving microcosm. LOIS programmed an interactive portal for navigating both the micro universe within the Petri dish and the macro universe as recorded by the Hubble Space Telescope, simultaneously. Together, artists and scientist consider what this manner of looking means, and at what scale we observe our universe.